Michelle Hackman of the Wall Street Journal explains how different states are recruiting certain graduates to move to their state and work in exchange for help on their student-loan payments. Washington Post reporter Amber Phillips details why Democrats are torn on the Mueller Report and what to focus on in the upcoming election. Aamer Madhani of USA Today breaks down the data to Gordon Deal of why more young people plan to vote in 2020, and how it could potentially benefit Democrats. Trump says he is opposed to White House aides testifying to Congress, more young people likely to vote in 2020 than 2016, and how not to work on your vacation. After Tiger Woods' comeback win at the Masters, companies who are currently fighting PR nightmares can take notes from Nike, who stuck by Tiger throughout his troubles. Despite all of the various in-flight entertainment options, the most popular is the map. Scott McCartney of the Wall Street Journal explains why to Gordon Deal. From 2012-2017, consumer taste has changed based on restaurant culture, low carb diets and the way we buy our food. Washington Post reporter Laura Reiley has the story. Anna Giaritelli explains to Gordon Deal that the skyrocketing costs at the border are due to immigrant families requiring basic amenities such as diapers and formula for children. US, India warned Sri Lanka weeks before Easter terror attacks, Social Security costs to exceed income in 2020, and Orphaned gorillas strike a pose in selfie with park ranger. Yahoo! 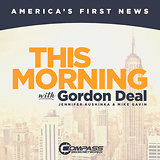 Finance reporter Rick Newman tells Gordon Deal that some Democrats like Elizabeth Warren are seeking to break up big business through new tax policies. Sadie Gurman of the Wall Street Journal explains some of the recent criticisms from the left surrounding the narrative that AG Barr is protecting the President. Bridget Bowman of Roll Call details how Russian hackers gained access to the DNC network during the 2018 house races. Tiger Woods's return from back surgery is a medical marvel, how technology could make your courtroom experience better, and the world's craziest Easter traditions. "I don't think either side is going to benefit that much," GOP Consultant Matt Mackowiak said to Gordon Deal. "If you support the president, you never believed this Russian collusion story from the beginning. If you oppose the president, then you believed that storyline, and more than likely believe he should be removed from office." "It's a win in the sense that nothing came out of it that is likely presidency endangering...but I don't know if all Democrats will be dissuaded from an impeachment attempt," says Jim Antle of the American Conservative to Gordon Deal about how both parties plan to handle the Mueller Report. 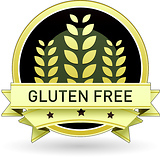 Zlati Meyer of USA Today details a new report that reveals startling information for gluten-sensitive diners. Washington Times reporter Jeff Mordock tells Gordon Deal "Republicans are going to be calling for an investigation into how the Russian collusion narrative developed, while Democrats call for impeachment," regarding the reactions to the Mueller Report. Kelli Grant from Acorns + CNBC and Gordon Deal discuss red flags to watch out for on your financial statements. The Washington Post's Adam Kilgore takes a dive into Tiger Woods' post-surgery comeback.